Does anyone have a good alternative to the Race Ramps, and specifically the Wheel Cribs? I really do like the idea of them, but the price is insane. 67" XT Ramps - Car Ramps | Get your Car Up 10"! | RaceRamps.com your best solution for Lightweight Car Ramps! 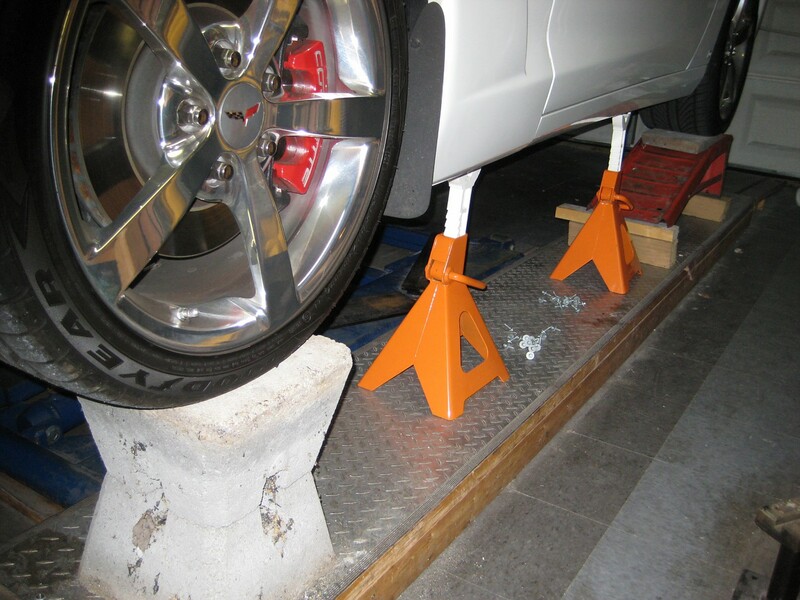 Wheel Cribs 8", 10", and 12" Sizes - Work Stands - Ramp Accessories | Safe, Lightweight Alternative to Jack Stands | RaceRamps.com your best solution for Lightweight Car Ramps! Ask Modshack what he uses to get under his car. I used rhino ramps before I dropped the car. However, even before i dropped the car I had to put a 2x4 in front of the ramp because of clearance issues. I'm thinking of buying raceramps since I'm not sure if the car will clear now with the 2x4s. Nice Ramps for oil changes and etc. Ha ha! Actually I need a set of those cribs! When you have to work down the centerline of the car with a scissors jack it is a bit of a PITA! Not so bad with FWD stuff and Porsches where the important stuff is on either end! Come on Steve show him the pic of your real lifter. that looks like wheel theft deterrent right there.